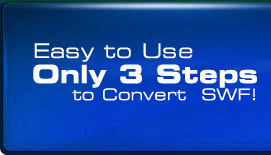 Contact Us -Flash SWF to Video Converter. Please send an email message at one of the addresses below. We'll try to help you as fast as possible, usually in 12 hours (7/24). Questions regarding the status of your order, pricing and discount information, etc. Or you can leave us a message. Use the form below to ask a question or send comments to our staff. Please be sure to leave a valid email address, so we are able to reply. "I am very pleased to have found iWisoft Flash/SWF to Video Converter. What a great way to transport my videos that I converted with SWF to Video Converter. I shall recommend this product to all my friends. " "I downloaded the application for trial and my brother and I agreed this was a useful tool. We shall use this tool to record our favorite game while playing it. "